Phottix has announced a new 'Luna' series of softboxes, comprising a 110cm octabox and a 70cm "folding beauty dish". Photographic accessory maker Phottix has announced a new ‘Luna’ series of softboxes. 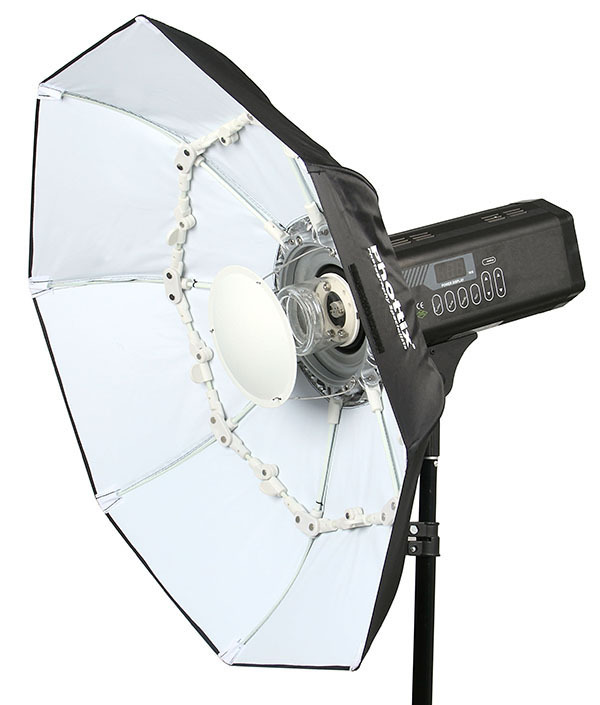 The range comprises a 110cm octagonal softbox and a 70cm “folding beauty dish”. Each is made from strong fibreglass rods and designed to assemble “in seconds”. Assuming Phottix’s claims are accurate, having a beauty dish that collapses for storage and transport would be a real boon to location shooters or photographers with small studios, as conventional beauty dishes tend to be made of rigid metal that takes up a lot of space. Each accessory comes with a Bowens S-fit mount as standard, but you can swap in other adapters to attach to other brands of studio lights. 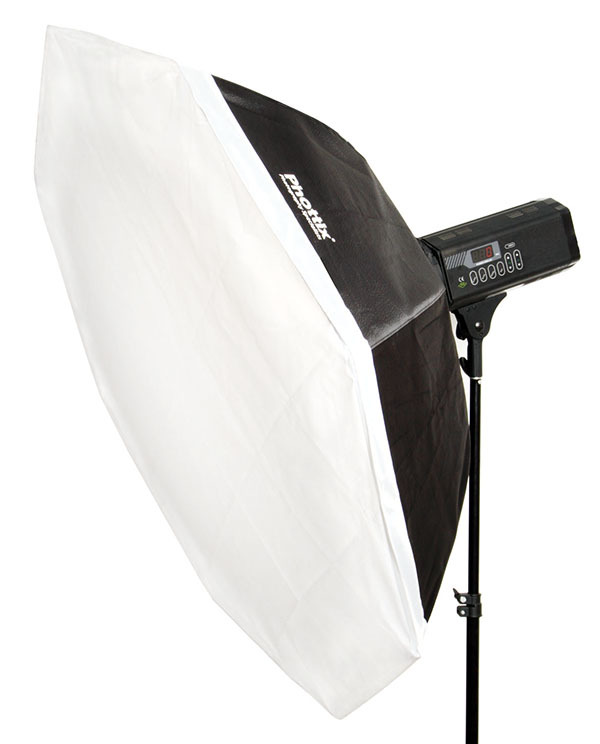 It is also compatible with Bowens-speedlight adapters, allowing either softbox to be used with small shoe-mount flashguns. The design looks very similar to the Falcon Eyes foldable beauty dish, so it is possible that they come from the same manufacturer. With Phottix’s wide distribution links it should hopefully mean more photographers will be able to get their hands on one. The company also reassures customers that the Phottix Mitros flashgun for Nikon “is coming”. You can buy the Luna Folding Octa Softbox and Luna Folding Beauty Dish now from Phottix’s online store for US$75 and $65, respectively. Alternatively, ask your local dealer when it will be in stock. For more information, visit Phottix’s web site.